Know How to Sell Products Online With different marketplaces for profits. Knowing How to Sell Products Online With different marketplaces can certainly increase your profits. Having access to these online platforms can certainly eliminate your fears and doubts. Certainly, there are many marketplaces available and you can discover How to Sell Products Online With them. Of course, they differ in terms of the resources they offer and the fees you have to pay. Nevertheless, these marketplaces do offer the possibility for you to make more money. Obviously, the best marketplaces are the ideal ones for you to sell and earn money. Assuredly, this post takes you to those marketplaces. For sure, you will discover How to Sell Products Online With these popular companies and hopefully increase your profits. Clearly, Amazon is the Goliath today when it comes to selling products online. A key point to note is that millions of people visit this giant marketplace every month. Noting the compelling nature of this evidence, you can sign up and discover How to Sell Products Online With them. Admittedly, I was very timid when I first signed up to sell my products online with Amazon. My first though was: “I wonder if my products will sell.” Within two days after the products arrived at their warehouse, I sold my first book, then another, and another, and the sales just kept going. That was enough to boost my confidence. Sometimes I run out of products and as a result, I lose money. From my experience, I see Amazon’s marketplace as the best. Evidence in statista.com report for December 2017 showed that Amazon’s websites got up to 197 million users each month. Without a doubt, Amazon is first-rate and so you can take advantage of the opportunity to sell your products there. Another key point to note is that most Amazon shoppers seem to have a good purchasing experience, so the company relishes an affirmative standing with customers. Bearing these positive points in mind, you can sell and eventually establish your brand on this marketplace. In general, Amazon offers various categories for you to sell your products to potential customers. Needless to say, whatever your product is, there is a category for it. From appliances and games, beauty and personal care, arts, craft and sewing, home and garden, books and baby, just to mention a few. Notably, Amazon has two options: an individual or a professional account. Of course, you choose what suits you best when you sign up. In case you select the professional account, also referred to as FBA which means: “Fulfillment By Amazon,” there are a few steps to follow. For one thing, they make the Fulfillment plan easy. To clarify, Amazon handles everything for you: From storage and sales of your products, packing and shipping them, likewise customer service. In the event that there are returns, they handle that too. Briefly, this is how FBA works. Undoubtedly, using the Amazon marketplace is one of the most awesome ways to sell products online. Remember, they handle everything, and you have an open door to millions of buyers. They take care of everything in customer service for you. They handle all your sales. They ship and deal with returns. Amazon has a huge audience, so you can get sales in a short time. Despite all the positives however, here are some caveats. You have to go by the rules on Amazon. You must have products on hand to ship. They take a big cut out of your profits, so your margins have to be steep. You should aim for more than 66% margin. In this case, you will be better off importing your product from abroad. It is hard to launch your brand on Amazon. People don’t associate the brand with you, they associate it with Amazon. Amazon can withhold your money. You have to watch out for the competition and check on your listings regularly. Amazon can prohibit you from selling on their marketplace any time. Notwithstanding these limitations, Amazon is no doubt a great place for you to sell your products online. Bear in mind that you can earn thousands of dollars each month once there is a demand for the product. Learn how you can start selling on Amazon here. It is important not to overlook the strength of the eBay marketplace. Do you have collectible products to sell? For sure you can sell them on both eBay and Amazon. In case you have vintage products, you can sell them on these two platforms too. Briefly, here are a few steps to guide you. Once you set up your profile, there is an easy to follow step by step process to follow. Ebay will email you whenever an item is sold, and that is when you pack and ship it. In addition, you can also check your account to see messages for sales. Learn about eBay’s selling basics: “List it, Ship it, and Get Paid”: Right here. A key point to note is that you can also open an eBay store to increase your sales. Check here for more information on subscription and fees. In case you are involved with handmade products, Etsy is also a huge marketplace for you to sell them. Just about anything that is handmade can be found on Etsy. For instance, soaps, arts and crafts, knitting/crochet and even vintage products. Point in fact is that these items have a unique touch to them. Etsy’s marketplace has more than 12 million products and thousands of sellers. 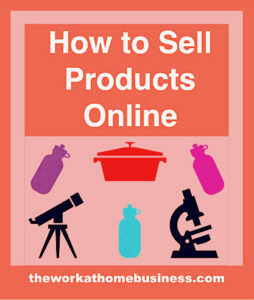 Learn how to sell products online with Etsy by clicking this link. Apart from the very popular marketplaces discussed above, there are also many other popular ones to check out too. For instance, you can also sell with Sears. Surely, this large marketplace is overlooked by many. Of course, there are others who don’t know that this company offers “business of all sizes” which is the opportunity to sell on their marketplace. Sears marketplace is growing at a fast rate so you can take advantage of this online platform to expand your business too. Setting up is easy and you don’t’ have to commit to any long term contracts. A key point to note is that Sears brings “Fulfillment” to you. This is where they provide a complete retail service to help you. In fact, you can sell anywhere, Sears picks, packs and ships your products. There is no minimum limit on volume, and there are no long term contracts. Read more on Sears features and benefits. Get more information on pricing. Discover more about Bonanza marketplace. It has been shown in this post that there are several marketplaces online for you to sell your products. No matter what option you choose, you can certainly increase your profits. Of course, one goal to be aware of is to brand your business. Bear in mind though that your brand may not be super easy to be established while selling on someone else’s platform. Despite your success on these marketplaces, I recommend that you start your own website to establish your brand. You can start here with my #1 recommended approach. 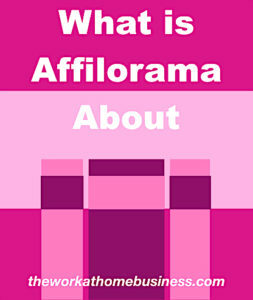 You will learn all the skills to build and brand a successful business online. Thank you for a great article Carol.. I really enoyed reading it. I have been thinking about starting out with Amazon to sell products however I was not aware of the other options you talk about. With so many options and different pros and cons for each if you had to pick one to start with what would be your recommendation? Presently, I sell on both Amazon FBA, and eBay so I would definitely recommend both. Even though the fees on Amazon are high, it remains a great marketplace for you to sell your products.